Piano is one of the most famous instrument and there exists a lot of people having the desire of learning to play this beautiful instrument. However learning to play this instrument can be quite difficult if you fail to have all the basic knowledge about it. Thus it is crucial for a beginner to gain all the basic knowledge and ins and outs of this instrument. One of the important basics that a beginner must focus on learning is musical notes. Learning to play piano can be easy for beginner after learning notes. Whether you are learning over a grand piano or a digital piano, details that we have shared here would bring you closer to having a complete knowledge of notes of a piano and will take you ahead on the journey of music. Your piano is composed of black and white keys. Identify patterns of these keys. Taking Major C, your notes would be sequenced as C, D, E, F, G, A, B and C.
Three white keys on your piano would enclose two black keys and four white keys would have three black keys. You need to remember this patter. You may also memorize it in a pattern like black keys repeat 5 keys patternwith two black separated by 1 white and two white. Then you have three black separated by 1 white and then two white again. All the pianos have similar pattern on their keyboards. Each note of your piano is presented similarly with single 12 octave notes. The only difference lies in pitch being higher or lower. Remembering this pattern would ease up the process of learning for you. Another important learning is to find the octave the note is in. Move upwards and downwards on your keyboard in order to find the octave that your key is in. Try increasing and decreasing. Understanding what your notes look like and their relationship is important too. Notes are either written as sharp or flats. They may look a little different but these notes have similar sound effects. White Keys: 0th octave of A, termed as A0 is the first key and lowest playable note from the left. Starting from left, you will find white keys as A0, B0, C1, D1, E1, F1, G1, A1, B1, C2 and so on so forth. Same pattern should be followed for all the remaining white keys of your keyboard. As you reach B1, similar pattern will be followed for another octave on your board. As you reach B1, similar pattern will be followed throughout the keyboard. 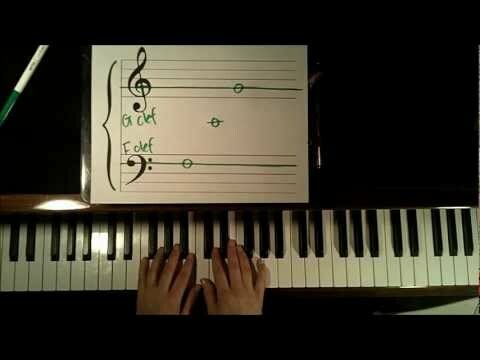 Try to memorize black and white keys on your keyboard for one octave. For example taking Major C. Memorizing one octave keys on the keyboard you will be able to follow similar pattern for other higher octaves too. Thus if your piano has 2 octaves or even 8, same pattern will follow. Apart from learning notes, as you learn to play piano you must also keep a close eye on movements and placements of your hands. Right placement and positioning is important. Once you learn a bad habit, it would be really tough to get rid of it. So it is important to learn good habits of piano playing. You may opt for a digital pianothat has names of the notes written on the piano keyboard. Some of the digital pianos have this feature and you can buy one such digital piano. But if you want to learn to play professionally, this practice is not really recommended as it may ease up learning on such keyboard at the beginning but over long run on other pianos you will find difficulty playing. Piano learning is not a daunting task provided you have a fully functional piano or keyboard and dedicate time and focus on learning all the basics of this instrument. So give some time for learning of this instrument and learn all the notes and keys of the instrument to have better understanding of chord, melodies and music.